A one-day event for those transfer students who have scheduled to attend the Transfer Day Program. 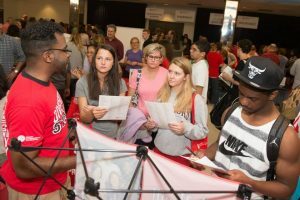 The day will include a meeting with their academic advisor, possibly registering for classes, obtaining a Redbird ID card, etc. Pre-registration is required.